Buhari said this at the launch of the 2019 armed forces remembrance day emblem and appeal fund in Abuja on Wednesday. President Buhari has called on politicians to watch their utterances. According to Vanguard, the President said they should put Nigeria first. 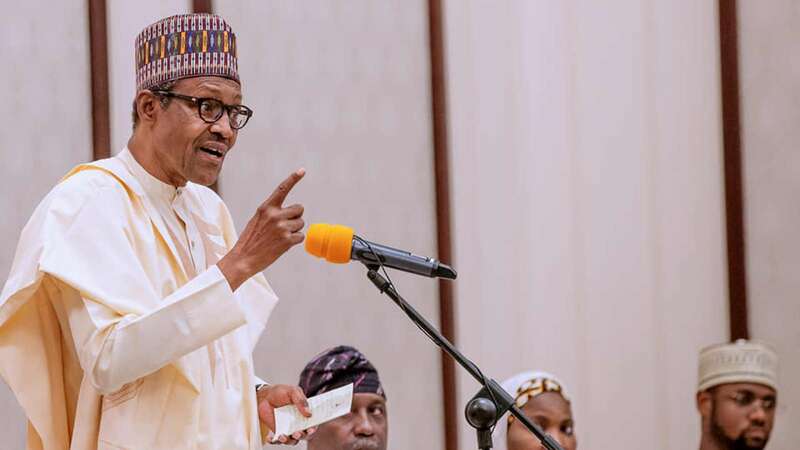 Buhari also warned against using words that might promote disunity ahead of commencement of political campaigns in November 2018. He said this at the launch of the 2019 armed forces remembrance day emblem and appeal fund in Abuja on Wednesday, October 31, 2018. “We would have no country to lead if our acts of deliberate incitement lead to the disintegration of our dear nation. ‘‘Let us put Nigeria first and realise that in every contest there must be one winner,” the President added. The president also said that the era of fraudulent allocation of votes is gone in Nigeria. He said Nigerians should be allowed to vote for anyone they choose. According to him, multi-party democracy gives lots of choice to the people, and Nigeria has a vibrant young population, who trusted his administration to handle their affairs and resources well. President Buhari’s main contender in the 2019 presidential election, is the Peoples Democratic Party (PDP) presidential candidate, Atiku Abubakar. Speaking on the upcoming elections, the founder of Adoration Ministry in Enugu state, Rev. Fr. Ejike Mbaka recently predicted that Atiku will defeat Buhari. The priest lashed out at Buhari, saying that he will be defeated because he refused to hear the voice of God. Mbaka predicted that former President Goodluck Jonathan will be defeated in 2015.